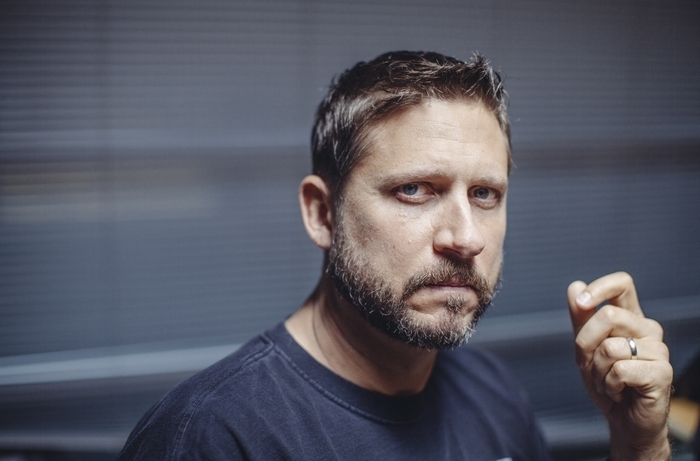 David Ayer didn’t grow up in a rich, privileged family. He didn’t go to Yale either. His road to writing and directing the just-released major World War II movie “Fury” was very different indeed. While growing up in Maryland and Minnesota, he was thrown out of the house by his mother and spent his teen years with a cousin on the tough streets of South Central Los Angeles. From there he went into the Navy’s submarine corps. So I asked him on the phone recently about exactly how misspent his early youth had been. So, I asked, When DID you stop? Certainly, he’d now be considered a productive working citizen of the state of California. He is a bit less terse – and flip and funny – talking about the road that led up to his making his current movie “Fury” with Brad Pitt. “It’s pretty intentional on my part. I wanted to show a day in the life. World War II is so black and white as an event. It truly was a struggle between good and evil but down at the stretch line, it was morally murky. For the fighting man, there were just as many moral hazards as there are now in Iraq and Afghanistan. I was fascinated by the end of the war. The U.S. Army is tired, the equipment is tired. The men are tired. We were the invader at this point, invading Germany, as opposed to being a liberator. On using his experiences in the Navy’s submarine corps to make a movie about a World War II tank crew. “[The tank crew’s newest recruit] Norman has really the worst first day at school ever. And any time you go into a line unit in the military, it’s the worst thing in the world to be the new guy. You have to prove yourself. You’ve got to take a lot of guff off the guys that have been there. It’s definitely something I could identify with. On staying in contact with his cast member Shia LaBeouf – who plays a character named “Bible” – during his recent round of bad publicity in gossip columns, infotainment shows and Internet web sites. “I wrote that script because I wasn’t getting any traction. I wanted to get hired in Hollywood. So I wrote something really for me – something that had no shot, I thought, at getting made. I think I wrote it in ’96. It took over four years to go into production. But it got me a lot of work in the interim. On whether critics matter and the small but adamant group of critics who think of his film about cops in South Central L. A. “End of Watch” as one of the great cop movies of the past decade. “To be honest, you do something. You put your heart into it. I understand that’s part of the job. It’s a public job. I wonder, though, if there’s a cultural disconnect in this country. “This movie is a slice of life, a family in a tank. Very different from anything out there today. And yet there are people out there today who say that’s a negative. On what he’s going to do as his next project.